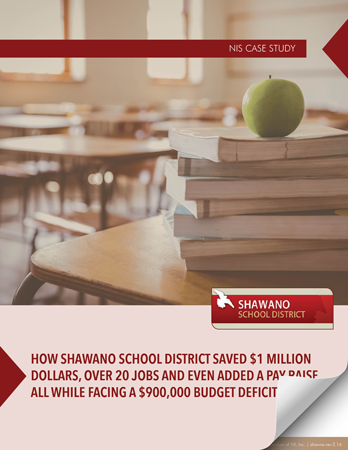 How Shawano School District Saved $1 Million Dollars, Over 20 Jobs, and Even Added a Pay Raise… All While Facing a $900,000 Budget Deficit. Schools districts are no stranger to budget cuts but when Shawano School District was faced with a $900,000 deficit; they knew they needed to make some significant changes. Not wanting to reduce jobs, Shawano looked to their self-funded health plan and sought creative solutions on how to curb spending, reduce costs, and eliminate their double digit premium increase.